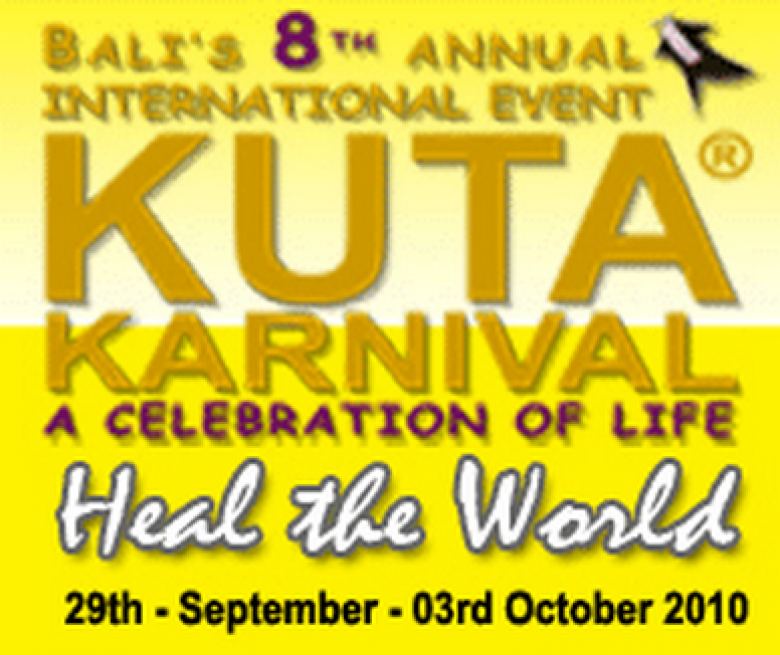 Bali's 8th annual international event - Kuta Karnival. Bali's annual international event that has attracted thousands of people to the sands of Kuta, winning hands down The Beat Awards for The Best Community Event in Bali! Have fun with the series of even including; Opening Ceremony with Turtle Release and Paddle for Peace, Kite Festival, Mepantigan Balinese Martial Art, Bali Hotels Association's Bartender Competition, Graffiti Cartoon Expose, T-Shirt Cartoon Competition, Sunset Dances, Mini Cartoon Exhibition, Youth Race, Movie Screening, Barong Reptile Show, Street Art & Sand Sculpture Competition, Kuta Young Architects, Youth Info Centre, Raremotion Artist Series,Environment Day, Cardinal Music Awards, Bali Food Festival and Street Parade. The Kuta Karnival is a "Community" and "Recovery" initiative of the Kuta Small Business Association (KSBA) for the island of Bali. The Kuta Karnival is officially endorsed by the Government of Bali, Chamber of Commerce (KADIN) Bali, Bali Tourism Board (BTB). The Kuta Karnival is supported by the local authorities Camat Kuta, Kelurahan Kuta & Legian & Seminyak, LPM Kuta & Legian & Seminyak, and the community representatives of the Villages of Kuta & Legian & Seminyak. The Kuta Karnival committee consists of representatives of all stake holders, and has been socialized within the government, the private sector and the community.